Heavy Duty Recycled S.H.S.S. Grocery Tote Bag. 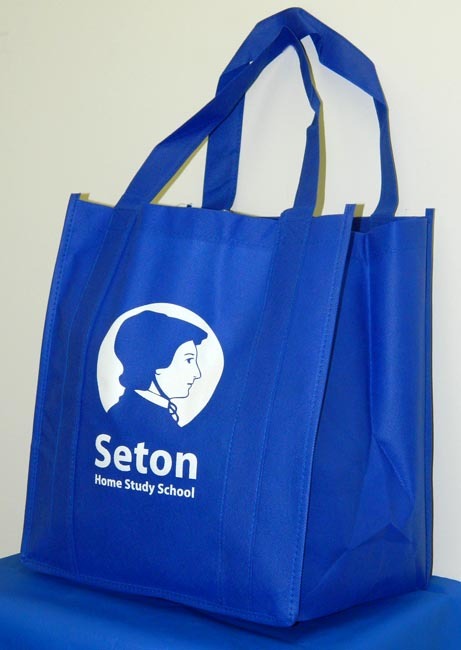 These non-woven Polypropylene grocery totes are made of super strong 100 GSM material. Durable and recyclable, they feature 20" reinforced handles and a matching covered bottom insert. Made from 60% post consumer recycled materials. Royal Blue. 13"x10"x15"